Abacus Claysports was established in 1990 with the operation of Stanhill Claysports, and then Abacus Claysports (now Gatwick Shooting School). 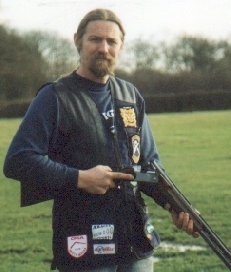 Jerry Parks Young has qualified as a Senior CPSA Coach and until early 2007 was the Training and Safety Manager at Bisley CPSA HQ in charge of all coach and instructor training within the National Governing Body. Comprehensive range of gun-fit items is stocked including recoil reducing systems, and stock altering items. A further range of items include gun cabinets, travel cases, security items, PPE, gun cleaning, safety items, refinishing goods, shooter's and country clothing. Repairs: in-house and specialist services for shotgun / airgun repairs and refinishing. Re-proofing, RFD carriage forward services. Insurance: Public liability for hunting shooting fishing and country sports through our associated business County Cover Club. Consultancy: Jerry is member of the BASC Ballistics committe, and has sat on the Thames Valley and Hampshire firearms consultitive committees. Safety training courses for Kent, Avon and Somerset, Sussex fire-arms enquiry officers training. Pirbright and Larkhill Army instructors coures, and Combined Cadet Force instructor training. Tutor and safety courses to Republic of Ireland include NGO safety courses, ICPSA instructor courses, National Ranger courses. Shooting ground: technical advice, feasibility, noise, planning, environmental, course setting, H&S compliance, insurance. Expert witness services. Members of the Gun Trade Association; CPSA; and BASC - see our links page to go to their sites.